Tour the whisky distilleries of Scotland by luxury rail. Experience the comfort of Belmond Royal Scotsman as it whisks you through beautiful Scottish scenery, stopping for whisky tastings, castles, and authentic Scottish activities along the way. As you journey on the luxury Belmond Royal Scotsman train, you will find that each part of the journey allows you to delve into unique tastes of whiskies produced in the region and also dine on fine local cuisine. 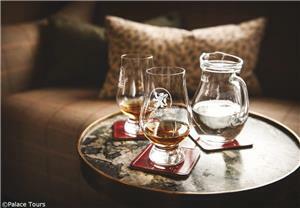 For this unique experience, the Belmond Royal Scotsman has partnered with the Scotch Malt Whisky Society, experts in single-cask, single-malt whiskies. At the end of this particular tour you will come away with a richer and deeper understanding of the many whiskies produced in Scotland and visit some of its most famous distilleries. Meet your whisky ambassador in the Balmoral Hotel and enjoy a welcome dram before departure. Belmond Royal Scotsman departs Edinburgh Waverley Station and travels north across the Firth of Forth over the magnificent Forth Railway Bridge. Afternoon tea is served as you journey through the former Kingdom of Fife. The train continues east along the coast, passing through Carnoustie, Arbroath and Aberdeen before arriving in the market town of Keith in the heart of the Speyside whisky region. 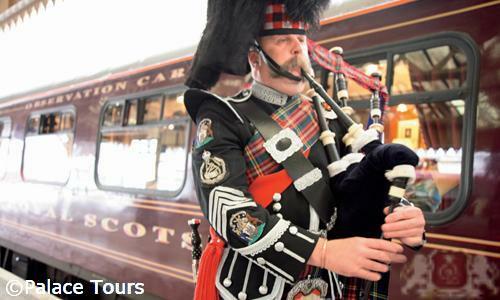 After an informal dinner, enjoy traditional Scottish entertainment by local musicians. 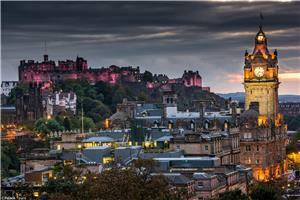 Early morning you leave Keith and push towards Inverness, the capital of the Highlands. Lunch will then be served on board Belmond Royal Scotsman before you step off at Muir of Ord and enjoy a private visit of Glen Ord Distillery. As you tour this distillery you will understand how it has survived and thrived as one of the oldest in the country. Here you can also experience a tasting and nosing session of whisky that is drawn straight from a cask. Once this section of the tour ends, the Belmond Royal Scotsman will take you to Kyle of Lochalsh and you can enjoy some of the most spectacular scenery in Britain. 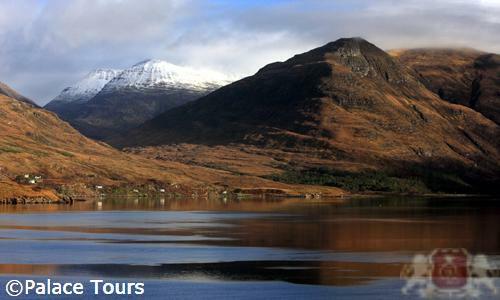 On this route you will pass the ancient Loch Luichart and the Torridon Mountains which, according to geologists, formed before life on earth began. Impressive scenery will greet you along the way as the train travels along the rim of Loch Carron and passes through Attadale and Stromeferry until it reaches the beautiful fishing village of Plockton. 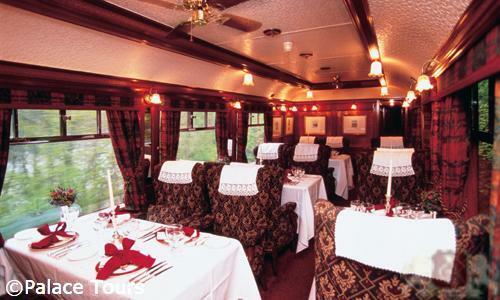 At the end of this day you will find a formal dinner awaiting you in the dining car and you can then spend time tasting coffee and liqueurs that are served in the Observation Car. This morning head toward Carrbridge. 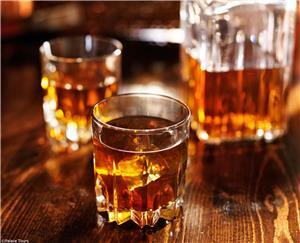 On board the train indulge in a whisky tasting session guided by the whisky ambassador and participate in a tasting of specialist single cask. Then you can enjoy lunch as the train passes through Carrbridge and takes you to Glenlivet Distillery, which produces an iconic malt whisky associated with the Speyside region. After this tour you will head back to the train at Boat of Garten station which is located on the private Strathspey Railway. 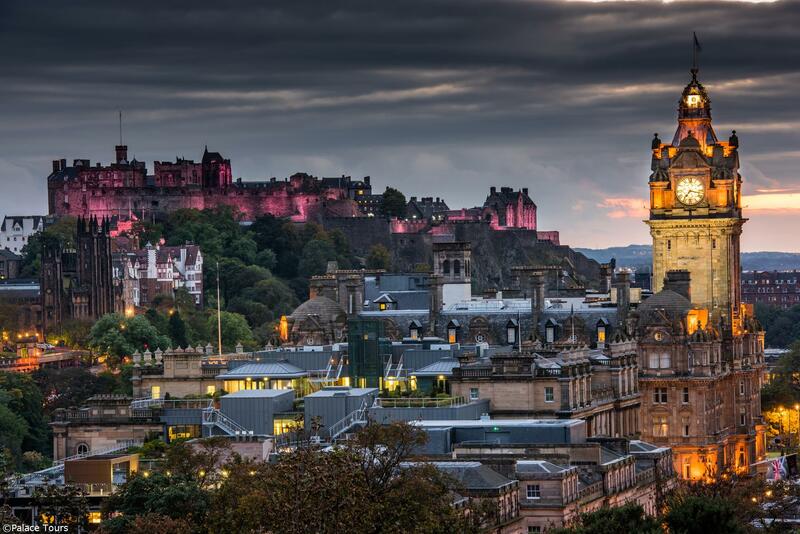 Following an informal dinner, a Scottish highlander will regale you with the tales from Scotland’s past and even give you some insight into its colorful heroes. Travelling by coach you will head to Rothiemurchus Estate which is located deep in the Cairngorms National Park. In this area you can indulge in a number of activities associated with the countryside, including clay pigeon-shooting, fishing, and an estate tour. Returning you will head to Kingussie and rejoin the train where lunch will be served as you pass through Blair Atholl and Pitlochry to Dunkeld. The latter half of the day you will visit Tullibardine Distillery located in Blackford village. Here you get a private VIP tour of the distillery and a session featuring nosing straight from the cask. Following this, visit a bonded warehouse where you will be guided through a tasting session featuring three Tullibardine Highland single malts. You will return to Belmond Royal Scotsman in Perth where you will be able to enjoy a formal dinner as the train heads to Dundee. As you listen to the beat of the music during the after-dinner entertainment, you may be enticed to participate in Scottish country dancing right on the station platform. Your unique and classic trip comes to a lively conclusion this final night. After breakfast, the train will head over Tay Bridge which will take you through the former Kingdom of Fife. Step off the train at Waverley Station in Edinburgh at which point your whisky ambassador will accompany you to The Scotch Malt Whisky Society’s headquarters. Here you will end your journey of Scottish culture and whisky immersion. Journeying through Scotland on Belmond Royal Scotsman luxury train you will be able to rest and relax in en-suite cabins that are a cozy, indulgent space in which you can savor the glorious scenery. On this train, the sleeping cars have 15 Twin Cabins, three Double Cabins and four Single Cabins including an interconnecting cabin (twin/double). The Belmond Royal Scotsman stays each night at a quiet siding or station and so guests can sleep peacefully and uninterrupted. Dining onboard the Belmond Royal Scotsman luxury train is a highlight of the each day and each sumptuous meal is designed to showcase the cuisine of the country. The dining cars have mahogany-panels and you can opt to enjoy your meals in tables that seat four, six or eight. Fine wines, liqueurs and malt whiskies picked form our extensive cellar will accompany your meals and you choose what you prefer. The best locally sourced produce is used on this luxury train. This includes game, Aberdeen Angus beef, seafood, wild salmon from rivers and more are used by our chefs to create regional specialties. At the start of your day you can enjoy a typical Highland breakfast or one that follows the continental style. Lunch often consists of seafood like steamed mussels which you can enjoy while touring romantic harbors or if you are on the train you can indulge in seared salmon. Dinner is usually served in the dining car and here sensational dishes will be churned out by onboard chefs. Some of these include warm pigeon salad topped off with blackcurrant dressing, a main course consisting of spiced roast halibut, and dessert of sumptuous apple mousse. Contact Palace Tours if you need to purchase travel insurance. When traveling on the Belmond Royal Scotsman luxury train we recommend insurance cover for personal belongings and your luggage. Insurance will often times also cover any charges associated with the cancellation/interruption of tours and any medical bills. Details of cancellation policies can be found in our booking conditions. 7Describe the cabin accommodations on Belmond Royal Scotsman. Currently, the Belmond Royal Scotsman has 18 staff members to the 40 passengers on board. There is a cabin steward available to you during all hours. Belmond Royal Scotsman is deliberately designed to immerse its passengers in Scottish culture from the moment they board. Fitted with rich mahogany paneling, colorful tartan fabrics, and large windows, the train becomes your new Scottish home. Lunch and dinner are held in two distinct dining cars: Raven and Swift, which accommodate all passengers at a time in more intimate, family-style seating arrangements. 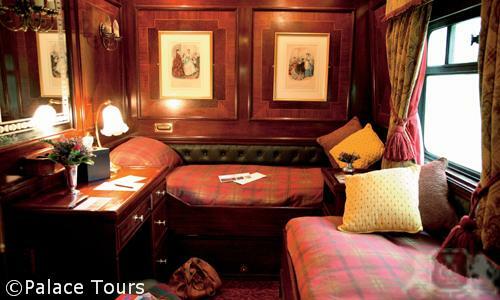 14What other carriages are part of the Belmond Royal Scotsman? In addition to the Sleeping Cars and two Restaurant Cars, there is an Observation Car which is the social hub of the Royal Scotsman. This car doubles as a bar car and boasts an open-air veranda where you can step out for fresh air and to watch the scenery pass by. The Observation Car comfortably seats 40 passengers, and the veranda can hold between 2-3 people at once. Sit in the upholstered sofas, mingle with the other passengers, and try some of the 50 local whisky options available from the bar. After dinner each night, there will be local Scottish entertainment for your enjoyment, ranging from lively music to a Highlander’s dramatic storytelling. 19Describe the demographics of the typical passenger on board Belmond Royal Scotsman.